Amanda was shot standing next to a cool Russian fighter jet. 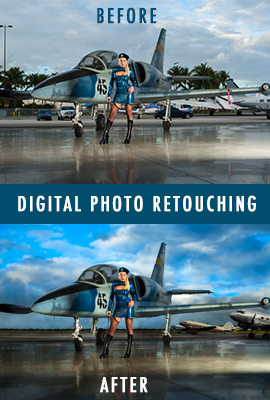 However, the background had to be taken out and replaced with a cleaner image. Ricardo Reyes is a photographer and graphic designer living in Miami, Florida. Reyes attended International Fine Arts College and earned an Associate of Arts Degree in Commercial Art. 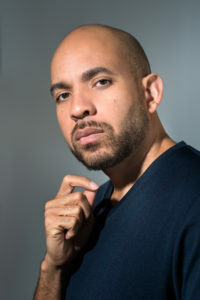 Reyes also has two Bachelor of Science Degrees from the Art Institute of Fort Lauderdale majoring in Computer Animation and Web Design and Interactive Media. Reyes has won several design awards that include four Silver Addy Awards, four Communicator awards and two Gold Awards from Create Magazine. Model Natalie Roser struts the runway, wearing Luli Fama Swimwear, at Paraiso Art Fair during Miami Swim Week, South Beach.